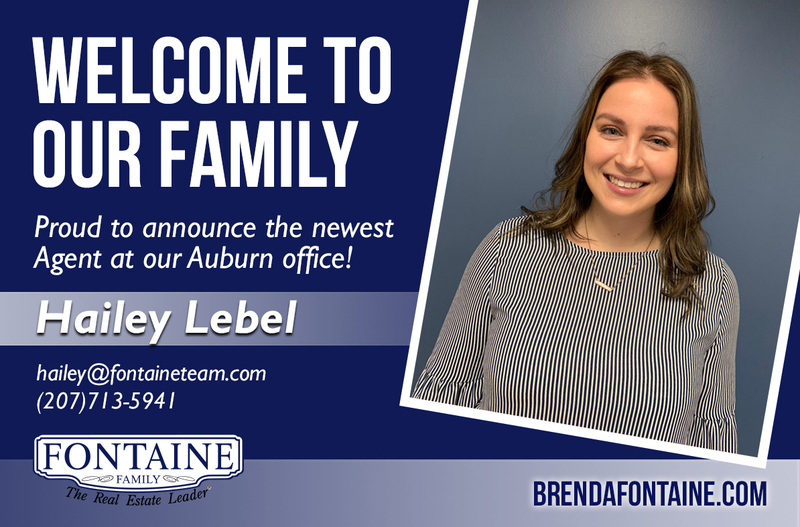 We're is pleased to announce the addition of Hailey Lebel to our team in our Auburn location! Hailey grew up in Lewiston, Maine and attended Lewiston High School. Hailey’s extensive background in customer service includes employment at L.L.Bean, Starbucks and Buffalo Wild Wings. She currently works as a server at Davinci’s restaurant while building her real estate career. Hailey enjoys all aspects of real estate including both buyer agent and listing agent. Hailey currently holds a sales agent real estate license in Maine. Hailey currently lives in Turner along with her parents. She enjoys spending time with her longtime boyfriend of 5 years, and her fun, outgoing friends and family. Her hobbies include working out, sewing and interior design. Hailey will be working out of our Auburn location and can be reached at (207)713-5941 or at hailey@fontaineteam.com. Fontaine Family – The Real Estate Leader has a highly skilled real estate team of licensed professionals dedicated to focusing on the client. This top performing team was voted Best Real Estate Company in the Greater Portland Area by and has consistently recognized by Real Trends and published in the Wall Street Journal in the Top 250 Real Estate Professionals ranking in the top ½ of 1% of Realtors outperforming 99.9% of the nation’s Realtors. Visit one of the nation’s top ranked websites at www.fontaineteam.com. 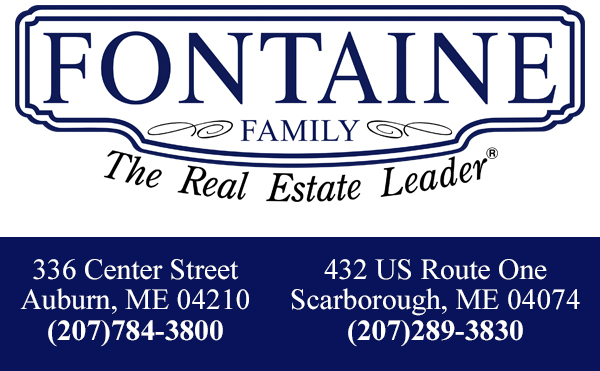 Fontaine Family –The Real Estate Leader is located at 336 Center Street in Auburn (784-3800) and at 432 U.S. Route One in Scarborough (289-3830).